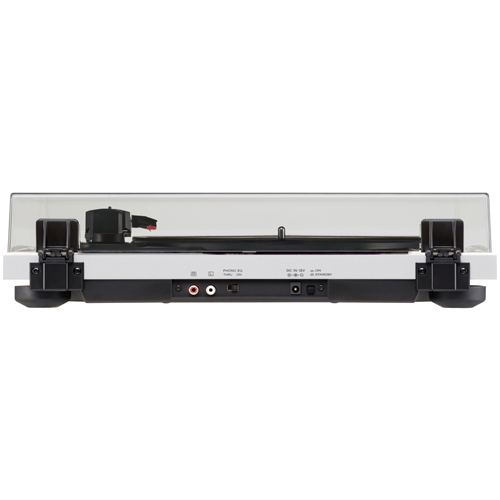 Techlink TWM431 Double Arm Wall Mount for Screens from 26" to 55"
SANUS MD115 Full-Motion Desk Mount for flat-panel monitors up to 30"
The TN-180BT brings you a totally new way of listening to vinyl records with its Bluetooth capability. No extra cost for hi-fi components or complicated wiring is required. Only Bluetooth speakers or headphones you might have for iPhones are required to enjoy the world of vinyl records. Designed for music enthusiasts, the belt-drive motor ensures a clearer sound than direct-drive DJ players, while selectable outputs, Phono, Line or Bluetooth allow you to connect any type of amplifiers, powered speakers or Bluetooth devices. 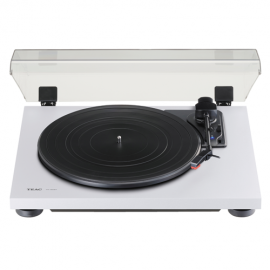 Unlike many budget turntables, the TN-180BT employs a single wooden board cabinet with high-density MDF to dampen vibrations and provide clearer and richer sound, while 3-speed and auto-return turntable mechanism. For music lovers who have been collecting vinyl records for decades or those just starting out, TEAC’s TN-180BT delivers the true sound of vinyl records.